Already an invaluable tool, the revised, updated and newly titled Hotline & Compliance Investigation Handbook reflects the additional experience, gained by the Council from working with front line compliance professionals. 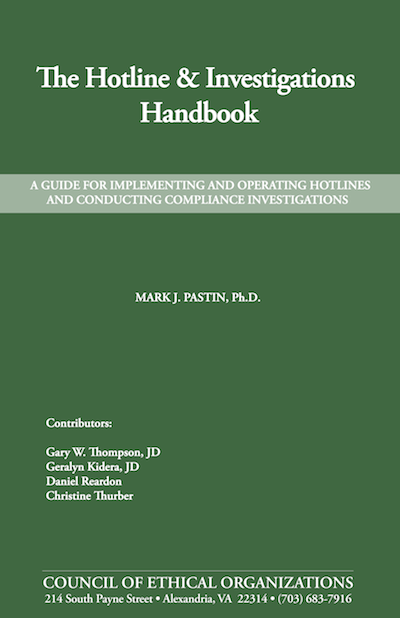 The new handbook includes expanded narrative treatment of the various regulatory or legislative changes since its original publication that potentially affect hotline operations (e.g., the Sarbanes-Oxley Act, OIG Compliance Guidances, and changes to the Federal Sentencing Guidelines). 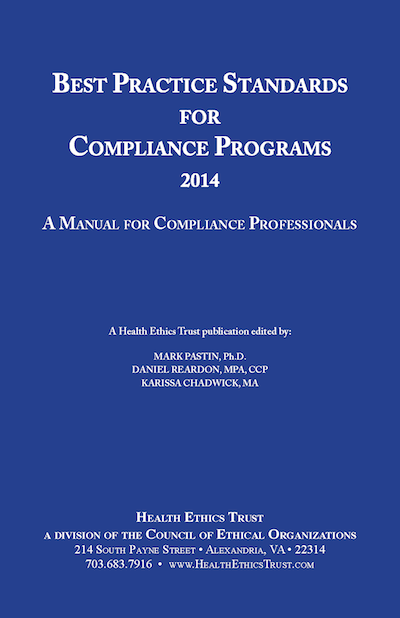 Finally, the new handbook contains a new foreword by Council President Mark Pastin. 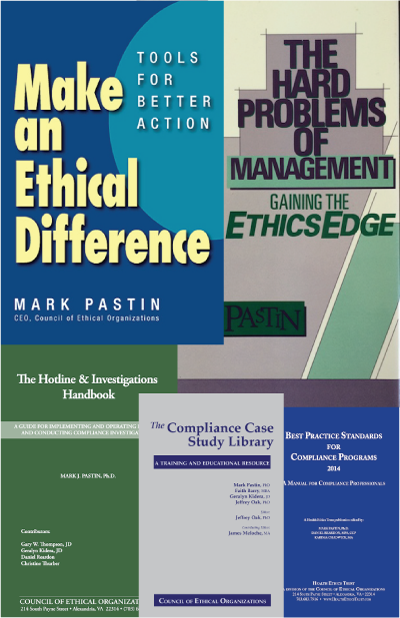 The ethics hotline has been a concern of the Council of Ethical Organizations for over a decade. We assisted in establishing the first ethics hotline. 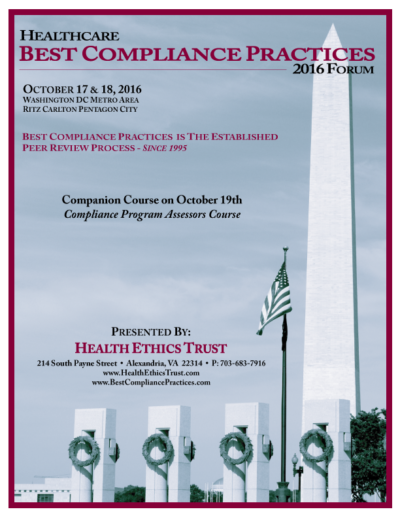 For many years the Council has sponsored The Hotline Course as well as the Conducting Compliance Investigations Course as a clearinghouse for hotline and investigations best practices.